When we want to improve, we look for good examples. And if you want to improve your customer service, it’s hard to find a better example than Buffer. Want to learn from the best? 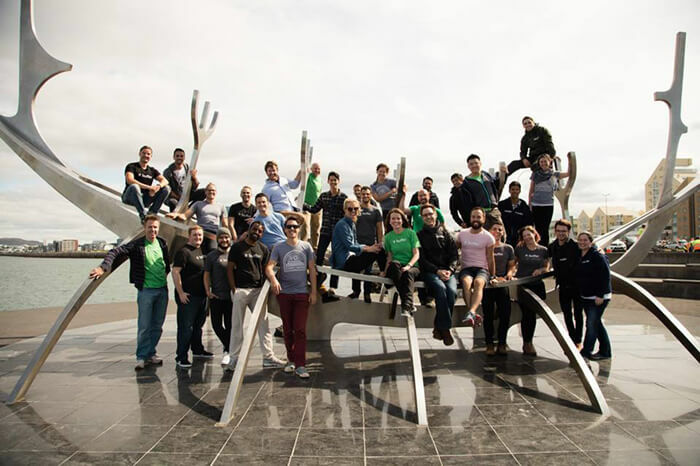 See what they do, how they do it and what makes Buffer customer service so darn good. If you haven’t had a chance to check out Buffer yet, it’s a social media scheduling platform that makes sharing stuff across several channels easy and time-efficient. Buffer allows you to quickly plan the promotion of your content and then track its success. With such a wide range of potential customers, Buffer’s support team, or rather Happiness team as Dany calls it, has to be pretty organized to handle the support enquiries. Right now, the team consists of eleven full time members. Ten of them work as Heroes, along with one Happiness Engineer taking care of the technical stuff (I love the names). Danny also mentioned that they have two additional heroes going through ‘Buffer Bootcamp’, but more on that in a minute. Listen first, then listen more. Have a bias toward clarity. I especially like the wording of the 7th value. Instead of taking up the time reserved for some other activities, we should make additional time to reflect on our work. It goes hand in hand with the “Live smarter, not harder” value. The team also found a way of using Slack for something other than speeding up internal communication. They’ve opened up a Slack channel where their users can join a community discussion about Buffer. Buffer’s Heroes mainly take care of users who have run into some kind of bugs or browser glitches. Apart from that, they also provide more information for people who want to learn more about the app. To keep in touch with customers and with each other, the team uses several tools and apps. What’s interesting to note is that Buffer’s Happiness team works remotely, which means they need to use “any tools that help improve communication, efficiency and productivity,” Danny said. When a new hire joins the Happiness team, they go through the already mentioned ‘Buffer Bootcamp’. This is a period of 45 days set to “make sure that the Buffer way is a great ‘fit’ for both parties,” Danny said. It’s not your run-of-the-mill trial period too. During this time, “bootcampers are set up with a Leader buddy, a Role buddy and a Culture buddy,” Danny said. The buddy system is in place to help and to “really make them feel at home within Buffer,” Danny said. Introducing new agents to a support team so they don’t have to fend for themselves is already a pretty swell idea. Making sure that the hire feels at home right off the bat is even better! The team also uses a custom-built dashboard made by the Happiness Engineer. The dashboard shows the number of interactions where the response time was under 1 hour, under 6 hours and over 6 hours to provide additional information about the speed of response of the team. 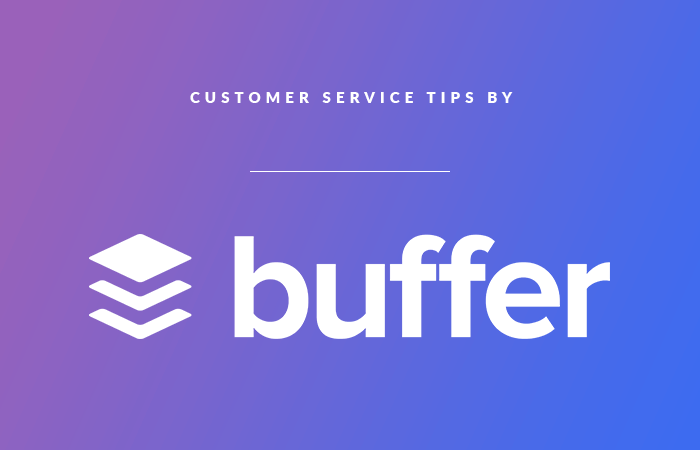 This, more than anything, shows that you really can’t go wrong with following Buffer’s advice on good customer service. When your customers have your back when everything seems to go off the rails, you’re definitely doing something right. Want to have the same kind of moment with your customers? Try using some of the tools and methods Buffer uses and see where that takes you.